With the popularity of the internet and social media it’s hard to remember that direct mail is still a valid marketing outlet. The fact remains, direct mail is still successful and widely used today. More than 8 out of 10 households read or scan advertised mail they receive. Direct mail is also an effective way to gain new customers. More than 39% of customers try a product/service for the first time because of direct mail advertising (DMA). According to the USPS, over 60% of direct mail advertising recipients were influenced to visit a promoted website with the heaviest influence being on first-time shoppers. Timing – Studies show Monday afternoon is the best time to send a direct mail advertisement. This allows for a delivery of Tuesday or Wednesday and gives sales people the rest of the week for follow-ups. When direct mail pieces arrive later in the week the effort may be lost from a disconnection over the weekend. Call to Action (CTA) – Creating a killer (CTA) is vital. If you are not using this marketing practice on your direct mail advertisement you could be missing out on prime opportunities. Reiterating the (CTA) at least three times has proven to be a great practice. Wording -Moreover, the wording of your offer matters. Dollars off will outperform a percentage $10 off $100 may outperform 10% off up until you start using a percentage of 50% then that rule switches; Buy One Get One (BOGO) should beat half off. Eliminate restrictions if possible and list an expiration date to express the urgency. Uniqueness – With direct mail you have the opportunity to be infinitely creative and make it stand out from the rest. With the use of the phycology of color putting thought into your color pallet can help impact your efforts. Furthermore, use eye catching photos with a 4-color gloss and a unique cut or size, this can make your postcard stand out. In addition, postcards that are larger are read more often. Should you be using an envelope for your mail piece oversized envelopes have shown the best response rate. “Lumpy mail” is another way to make your direct mail piece stick out. It makes the mail piece three-dimensional, more official and very intriguing; and of course your recipient will wonder what’s inside. With lumpy mail you could promote your business with swag items that include pens, calendars, notepads, coasters and more. In conclusion, if you want your direct mail advertisement to stand out you must so something different form the norm. 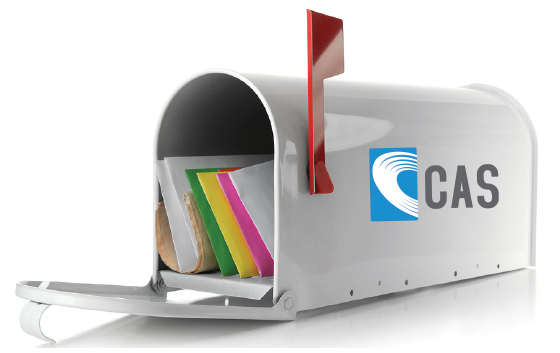 With targeted mailing lists and lettershop services, CAS can partner with you to make your next mailing successful. Call 800-524-0908 today! Out of the 205 billion email messages that are sent per day, how many of them catch your attention? A first impression is everything; a great subject line could make or break your chances at peaking someone’s interest. Regardless of whether or not your email gets opened, your subject line will be seen. RE: or FW: In addition to annoying your recipients using RE: or FW: in your subject lines can trigger spam filters. This has been a common practice of spammers and frankly, most of your customers are too smart to fall for it. ALL CAPS: Stay away from using all caps. You can emphasize your message but don’t sound too desperate. Using all caps may help you stand out, but not in a good way. Tell the Truth: Don’t mislead your subscribers. If your subject line doesn’t match your message recipients could be confused and your email could be flagged as spam. Emojis: Emoji symbols are a new trend in subject lines. They get your attention, but not all email platforms support such characters so proceed with caution. Questions: Questions are a great way to engage your reader’s curiosity. Many times a question will persuade your readers to open the email in search of an answer. Call to Action: It’s never a bad idea to include a call to action in a subject line. Of course, it can be challenging given the character space but it can be done. Here are some call to action tips from WordStream that may help you in your next campaign. Preheader Text: Preheader text is the subject line’s lesser-known brother. It is a short summary of text shown after the subject line. Many email builders allow you to create a custom preheader in the header of your email, it can also be done manually in HTML. Preheaders are used to give the recipient more information before they open the email before they proceed to open it. To put quite simple, your email subject line is important. 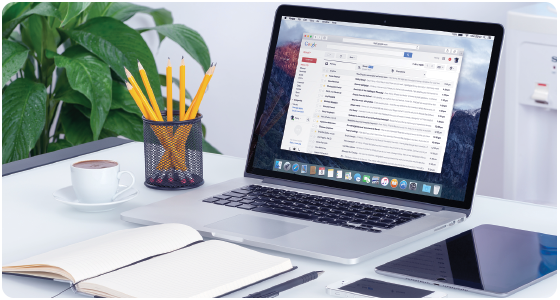 A great subject line can help build brand awareness, increase your open rate, drive more sales and simply get the attention of your subscriber. Email Marketing is alive and well and will be for a very long time. Don’t listen to the naysayers who declare that email marketing is “dead”. There are over 205 billion email messages sent per day. That means 2.4 emails are sent every second and up to 74 trillion emails are sent yearly. This number is expected to rise at an annual rate of 3% over the next 3 years. On average, subscribers receive 416 advertising emails per month. For every $1 spent on email marketing, the average return is $44 (Source: campaignmonitor.com). CAS, Inc. offers effective ways to reach your best prospects via email. We have complied one of the most robust databases in the industry with the ability to segment highly refined audiences for your targeted email content, postal messages or phone communications. Download our new nSightful Xchange Data Card here. 1) Email Marketing provides the ability to distribute information to a wide range of specific, potential customers at a relatively low cost. 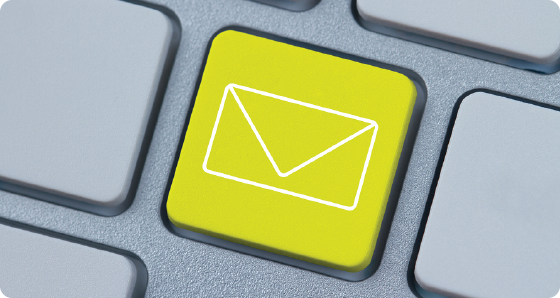 Compared to other media investments, email is less expensive per contact. The Direct Marketing Association (DMA) has found that email marketing has a return on investment of 4,300 percent. 2) With the right email campaign, an exact return on investment can be tracked and has proven to be high when done properly. Email marketing is often reported as second only to search engine marketing (SEO) as the most effective online marketing tactic. 3) The delivery time for an email message is short (i.e., seconds or minutes) as compared to a mailed advertisement such as a postcard, magazine or flyer (i.e., one or more days). 4) An advertiser is able to “push” the message to its audience, as opposed to website-based advertising, which relies on a customer to visit that website. 5) Email messages are easy to track. An advertiser can track users via autoresponders, web bugs, bounce messages, unsubscribe requests, read receipts, click-throughs, etc. These mechanisms can be used to measure open rates, positive or negative responses, and to correlate sales with marketing. 6) Tracking and response metrics enables you to tune your email by a process of testing different creatives, subject lines and call to actions. Whether you are marketing to internal data or looking for new email prospects CAS has you covered. With over 200 demographics and 132 million email addresses CAS can construct a highly responsive and targeted email marketing campaign for your business. Contact us today 866-461-4693. CAS’ MortgageBase database includes nearly one million deed-transactions per month, combined with a Tax Roll file of over 37 million single family and condominium residences, resulting in millions of transactions that have been identified with a change of home ownership from the current month back to the late 1980’s. This deed driven database, compiled from County Recorders Offices, provides a daily snapshot of most transactions that have recently occurred. This file is best suited for New Homeowner offers, PMI Insurance Users, Refinance, Reverse Mortgage lead generation, VA/FHA/Conventional Streamline offers, and much more. 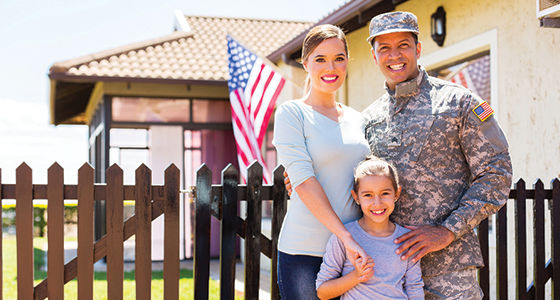 MortgageBase Premium includes all of the demographic selects and data found in the original MortgageBase file. The additional source used to compile MortgageBase Premium provides more homeowner records, additional property and loan selections and increased accuracy from verifying records across two primary sources. Mary Fulton, CAS’ CTO, is celebrating 35 years with the company. That’s quite an accomplishment. Her job has changed a lot since she first began working here as a contract programmer. Over the years, she has made significant contributions to CAS’ operations in many areas, including data hygiene, software development, and the creation of the Turbo marketing platform. Join us as we congratulate Mary on her 35 years of service to CAS! You can read more about Mary here. We’ve just updated our Automobile Owners USA database! 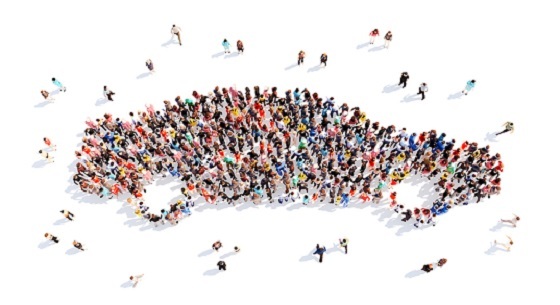 This data is sourced from automobile dealerships, manufacturers, service centers, as well as requests for insurance, aftermarket products, and warranties. Our database is compiled using multiple sources across various industries. We start with more than 200,000,000 records, then we standardize, cleanse, and remove duplicate records. No other auto file providers use as many sources as we do at CAS. Many other auto files claim to have more records, but the problem is “historic” files don’t remove old records when cars are sold. These other files will have people who owned cars years ago and have long since sold them, leaving you with old, outdated data. We maintain, update and build our file “new” on a regular basis, giving our clients a current snapshot of automobile owners now, and not years ago. Automobile Owners USA is perfectly suited for: extended warranty offers, financial services, insurance, new & used auto offers, auto clubs, aftermarket accessories, and much more. A CAS representative would be happy to discuss our Automobile Owners USA database with you. Email marketing is a useful tool for driving people to web sites or simply informing folks that you exist, but don’t lose sight of direct mail and its many proven direct marketing merits! You will see extraordinary delivery rates to mail boxes: the vast amount of email marketing that is processed means that email inboxes may be cluttered with spam, making it hard to get the attention of your potential customers. 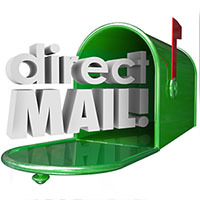 Direct mail has a 90%+ delivery rate and is a very reliable way to reach prospects and customers. Response rates are often higher: direct mail results in more responses from consumers than email. If you get your direct mail list, offer and creative right, the USPS statistics say you can count on a 3-5% response to your direct mail campaign. Match THAT statistic with any other channel! Direct mail results in more response to your “call to action”: after receiving a direct mail piece, nearly 25% of those consumers visit a store, 20% visit a website and 15% call an 800-number. Remember that multi-channel marketing – using both email and direct mail – allows consumers to choose the channel by which they would rather receive offers. A CAS representative would be happy to discuss how direct mail can help you grow your business. Response Expo is the event for performance-based marketers: anyone who measures, tracks, and monitors the results of their advertising campaigns. If your advertising campaign is running on television, online, radio, print or outdoors and directs consumers to a website or phone number, then Response Expo is your event. Dreamforce brings together thought leaders, industry pioneers, and thousands of your peers for four high-energy days of fun, inspiration, networking, and giving back. With over 1,500 sessions and thousands of live solutions from the world’s largest cloud ecosystem, Dreamforce has tailored content specific to your industry, role, and company size. Whether you’re a company of five or a Fortune 500, you’re going to see a boom in success by coming to Dreamforce. In 2016, &THEN will bring marketing’s greatest analysts, artists, strategists, copywriters and CEOs together at the world famous Los Angeles Convention Center in sunny California! Investing in a tradeshow can create many benefits for your business. Don’t miss out on the opportunity to promote your products and services. Sign up to exhibit at one of our top must-attend tradeshows and events of 2016! Start 2016 off right by identifying your best customers. Knowing your customers and their value helps you find more like them within your current market or new market expansion. A clear picture of your customers enables you to market more cost-effectively and efficiently. Referrals are perhaps the best affirmation of customer satisfaction. It’s also a way to gain customers with the highest retention rates. These customers tend to purchase more over time and in turn become a source of additional referrals. Communicate to others in your network what type of customer you’re looking for. This is an effective way to reach new customers in your target market. Establish an agreement between a business to pursue an agreed upon objectives needed while remaining independent organizations. As long as there is continued value to the shared audience, strategic alliances produce streams of referral business. You should continually review the value of your existing customers. Over time, customers who used to be highly profitable might want lower prices. Pay attention to each customer’s future potential as well — it may be worth cultivating a relationship with a small customer who has high growth potential.